Shinjuku, in Japan’s Central Business District, is lined with many high-rise office buildings. 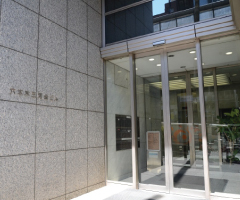 Established in “Da Vinci Shinjuku”, a commercial building with many large corporations, CROSSCOOP Shinjuku is easily accessible. Only 4 minutes walking distance from Shinjuku JR Station, and a 1-minute walk away from Shinjuku Sanchome Station (Marunouchi Line, Fukutoshin Line, Toei Shinjuku Line). It is the largest rental office in the city with maximum occupancy of 250 people. Due to the convenience, we have clients from a wide range of industries. 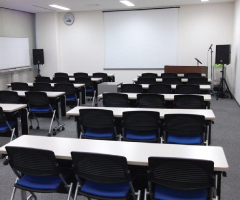 Featuring a Seminar Room that is often used by large corporations for company conference as well as Graduation talks. Represented by Roppongi Hills and Tokyo Midtown, Roppongi is also dotted with large office buildings. CROSSCOOP Roppongi is conveniently located within 30 seconds walk from Roppongi Station and Roppongi Itchome Station and Nogizaka Station are also within few minutes walking distance, thereby accessible by 3 stations and serviced by 4 train lines. Many of our users are entrepreneurs commencing international business. Instead of private rooms, we have an open-concept office that is well-ventilated, and which allows for communication and business cooperation among our users. Established in Aoyama Gaienmae, a 4-minute walk away from Shibuya Station along the Tokyo Metro Ginza Line, CROSSCOOP Aoyama is surrounded by the fashionable Omotesando and famous Jingu Shrine. 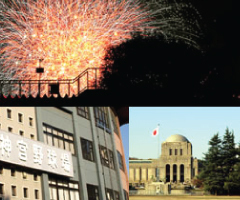 In summer, you get to see the fireworks up close during the “Jingu Gaien Hanabi Taikai”. Often used by designers, female entrepreneurs and student entrepreneurs.Featuring a large Seminar Room that can accommodate up to 54 people, and is ideal for company training, workshops, seminars, etc. For office viewing, free trial or more information, please do not hesitate to contact us.